Your pet will feel at home with Dog Resort. 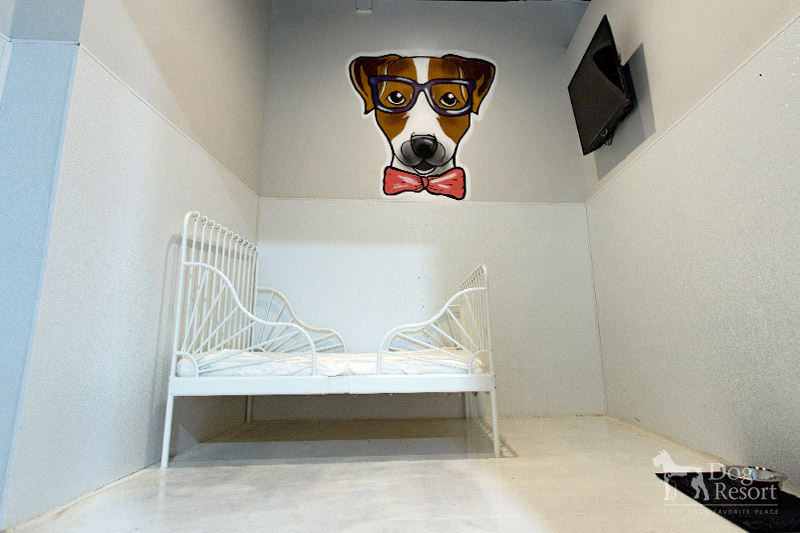 With privacy 4’x6′ space and vinyl walls, your pooch will have room to stretch out and relax in our temperature controlled facility. Our friendly staff will serve your companion breakfast and dinner and take them on potty breaks throughout the day. Located in a temperature controlled facility, your companion will have lots of room to relax and stretch within their private vinyl wall space. Our friendly staff is here to serve and will make sure your friend(s) receive two meals (breakfast and dinner) and be taken out multiple times for potty breaks throughout their day. 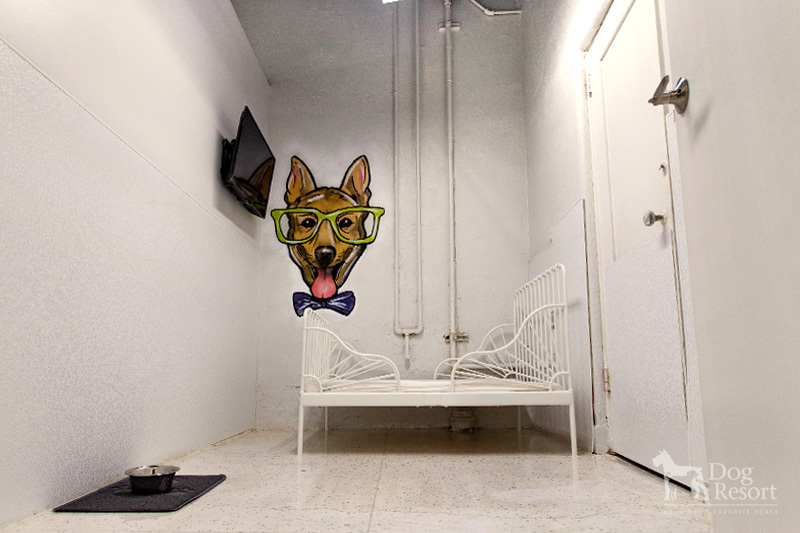 This Jr. Suite is at the size of 5’x8’10” for your four legged pal. You can give a visit to your dog via web cam 24/7. This Jr. Suite is a 5’x8’10” size room. You can watch your buddy live on web cam 24/7. Here is a Jr. Suite at 5’x8’10” size . You can also watch him live on web cam 24/7. This 6’7″ x 8’10″ room is a spacious room for your pal to play around in as well as watch his favorite show on the LCD monitor. You can watch him via the web cam. This room is at 6’5″ x 8’6″ comfort. Your dog can enjoy his favorite show on the LCD monitor. You can watch him via the web cam. This 6’5″ x 8’6″ room is a spacious room for your pal to play around in as well as watch his favorite show on the LCD monitor. You can watch him via the web cam. 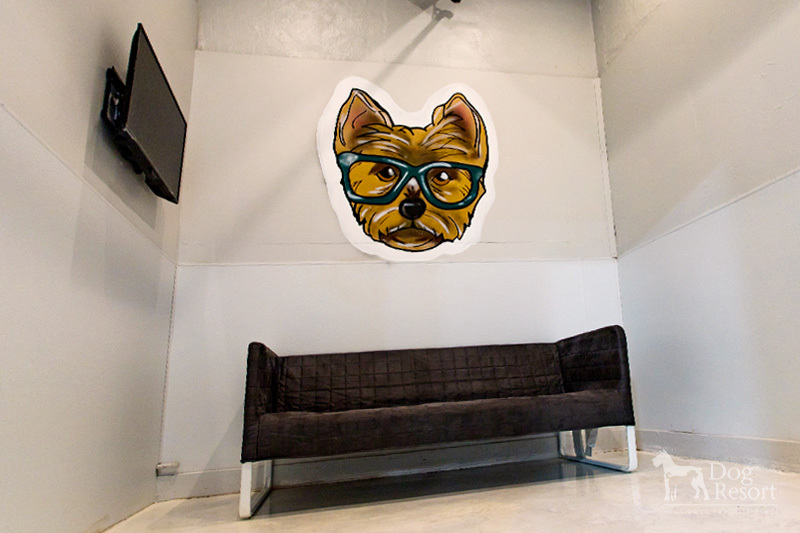 The 12’x12.5’ room is a big room for your dog to play in. They can watch TV and jump relax on the couch. In a perfect world, you’d be able to take your four-legged friend with you everywhere, but sometimes it is simply not practical to bring your pooch along on vacations or business trips. If you have to leave your dog behind for a few nights or just an evening, you’ll want to know that he’s comfortable and well cared for while you’re away. With the dog hotel at Dog Resort, you’ll find accommodations your pup will love, so you can enjoy your time away while your furry friend is pampered in our large, individual rooms and suites. We are the largest dog hotel in the San Fernando Valley, and our staff is dedicated to making every pup feel welcome and loved. 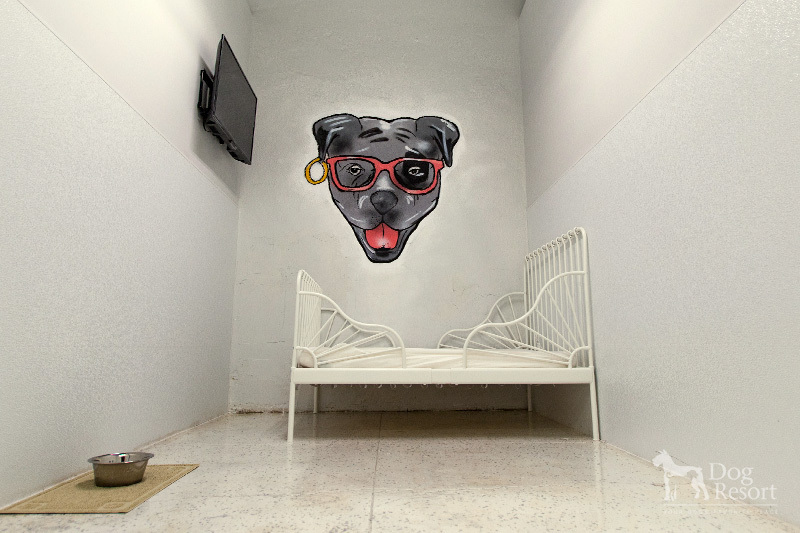 All rooms at Dog Resort have private accommodations, where dogs of all breeds and sizes are welcome to stay. Our staff will come around to give each guest some attention, exercise, and potty breaks, and there is a member of the staff on-site 24/7 to ensure that our four-legged guests don’t feel lonely or anxious in their accommodations. 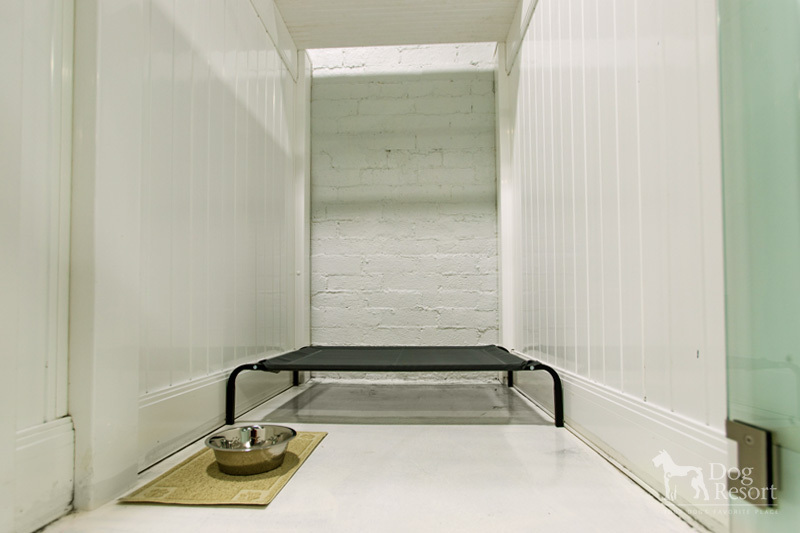 Standard Rooms – Our standard 4’x6’ rooms allow space for even the largest pups to spread out and relax. Beds are included with the room, and you can send your dog favorite toys from home. All rooms are temperature-controlled and indoors. 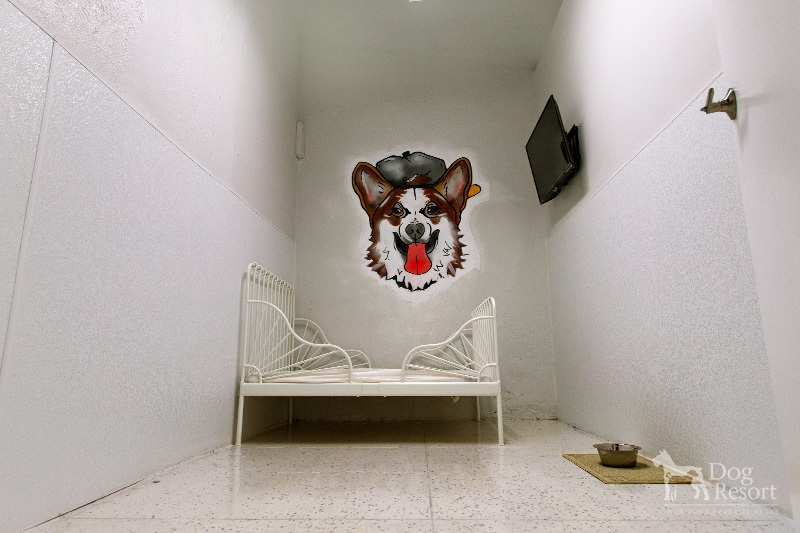 Suites – For an added touch of luxury and comfort, we have private suites available, which offer more room as well as 24/7 access to a puppy web cam, so you can check up on your pup when you are away. 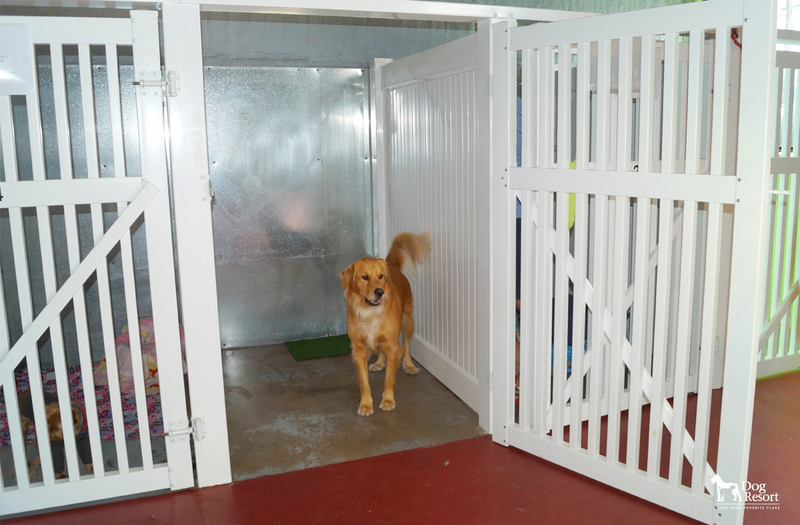 These rooms are perfect for finicky dogs, and they can be a great solution for boarding multiple dogs without having to separate them. In our largest presidential suites, pups will be receive two walks a day, have anytime access to our spacious play area, and are pampered with room service twice daily for meals. Along with dog boarding in North Hollywood, we provide training and grooming services, so your dog can have a more productive stay with us. We also make sure that, unlike other dog hotels, we have someone available on site 24/7/365. This way, every dog gets the love and attention he needs, and you can rest assured that your pet is safe and secure during all hours of the day. 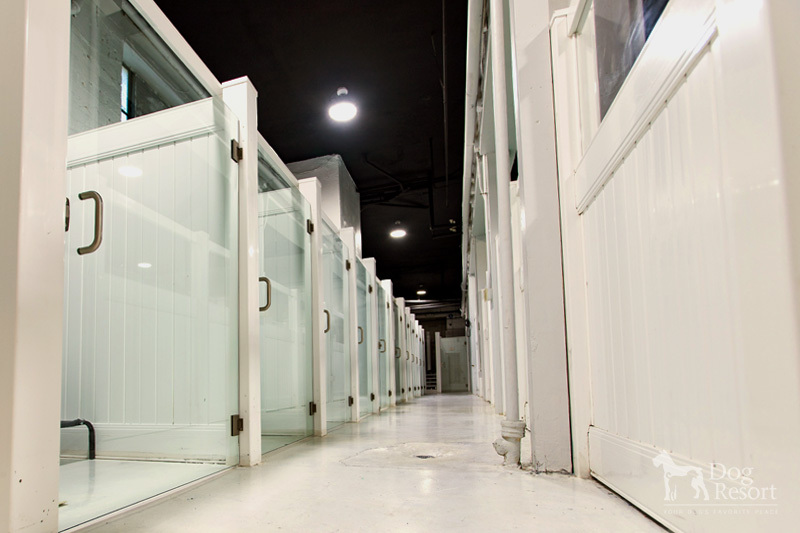 To schedule a tour of the facilities at Dog Resort, give us a call at (818) 255-5551. We’re available to host tours daily, and we welcome you to come and see what we have to offer to your precious pup while you’re away. * All beds and blankets are provided. However, please feel free to bring your dog’s own bed from home and any other items that you feel he or she would like to have during their stay. * We invite you to come in for a tour of our facility. * Special holiday rates/procedures apply: Discounts not valid during holiday schedule (please call for dates), 20% deposit refundable as store credit if reservation cancelled more than 72 hours from scheduled check-in. Let your dogs run and play in our indoor, temperature controlled playground. Your pets are our guests! With 24/7 supervision your pooch will never feel alone. They will enjoy their vacation while you enjoy yours. Our training offers positive dog training with results. From puppy to adult we can train your companion to be a good canine citizen.